A performance of sparkling orchestral and choral music from the great composers of the Baroque era opens City of Bristol Choir’s concert season, featuring Handel’s virtuosic Dixit Dominus. One of the most exhilarating of all his choral works, Handel composed the oratorio when he was just 22 years old. The piece displays youthful vitality and energy in both its string and vocal writing, with strong Italian influences. One of the highlights is the duet for two solo sopranos De torrente in via bibet, whose lines weave in and out of each other in exquisite, heartrending counterpoint. 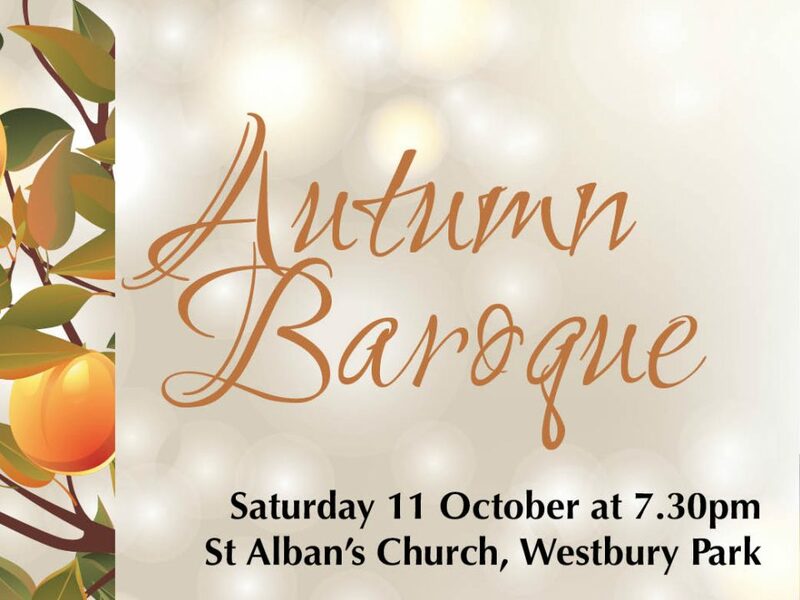 Two works by Vivaldi complete the programme – Beatus Vir, a setting of Psalm 111, and Autumn from The Four Seasons, a true classic which always repays a fresh listen despite its familiarity. The music depicts rustic scenes of peasants, harvest dances and over indulgence in the local liquor, and a dramatic account of an Autumn hunt with horns, guns and hounds. The soloist is Lorna Osbon, violinist with the famous Bath Pump Room Trio who has led the London Gala Orchestra, the Bath Phil and performed with the London Philharmonic Orchestra, City of London Sinfonia and Ballet Rambert. City of Bristol Choir is an auditioned choir of 90 singers, which gives regular concerts in Bristol and around the South West, and has appeared on BBC radio and television. For this concert the choir is joined by the Lochrian Ensemble, a professional orchestra well known for its engaging and committed performances.